As you might expect, the stars are twinkling for Country Radio Seminar. Toby Keith, Sugarland, Telluride and Pat Green all have terrific new tunes for the radio decision makers to savor. Universal South is bringing forth a dandy by this week’s DisCovery Award winners, Jonathan Singleton & The Grove. Less than a month ago (on February 13, to be exact), Caitlin & Will earned that same honor. Well, today they graduate to their first Disc of the Day prize. I hope it is the first of many to come. —Sumptuous and lustrous as a ballad can be. Guitars chime and percussion pounds all around his passionate, soaring vocal. A big, big sound. —The title tune to the Canadian hunk’s new CD is a tender “daddy” song that tugs at every heart string you’ve got. Another winner in a career that’s had a bunch of ‘em. —The song is ear-catchingly structured, with its chorus at the beginning. Even more impressive is his cool, grainy singing voice. Jonathan has already proved himself as a top Music Row songwriter (”Watching Airplanes,” “Red Light”). This proves he has enormous artist potential as well. —During the past few years, Stella has really come into her own as a songwriter and a record maker. Her new Testimony CD leads off with this lilting ditty about kinfolks. Hold on for the clever “gossip” segment at the finale. —At radio’s request, “Even Now” is being pulled as the duo’s single and being replaced by this piercing, penetrating ballad of loss. Both of these kids sing their faces off. 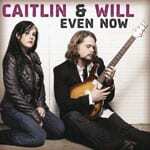 Caitlin’s goose-bump raising vocal takes the lead while Will wails soulful harmony on the string-drenched choruses. The electric guitar effects are really neat, too. A super performance. Her aunt’s death from breast cancer inspired Caitlin to pen this stunner. —The pencil marks are the ones Dad drew on the door frame as his boy grew up. The kid enters the military, comes home, has a boy of his own and starts making new pencil marks. It’s a neat little slice of life, very nicely sung and produced. I think this band has the goods. —Having succeeded in country music as her dad’s duet partner, pop star Miley sends out this Nashville-penned orchestral ballad as a potential cross-format performance. The gal can for-sure sing, and the chorus of this is pretty undeniable. It’s not exactly my cup of tea, but I can see why country radio might want to give it a try. —Pat comes to Music City with stars in his eyes. “I got a drinkin’ problem, so I fit right in.” That’s just one of the hoots in a lyric that name-checks, Tim, Faith, Kenny, Bocephus, Carrie, Big & Rich, Brooks & Dunn, Keith Urban and more. Great tempo tune. Great fun. —It’s a zippy, bopping, working-girl’s lament. Life doesn’t have any rhyme or reason. It just happens. Naturally, she tosses in a “Shhh” and pauses a moment before singing the title. —The Chapmans are a young couple to watch in Tune Town. Nathan has shot to fame as Taylor Swift’s producer. Stephanie’s songs have been recorded by Trisha Yearwood, Bonnie Raitt and others. The title song to her debut CD is a sweet, soprano love ballad embellished with silvery steel passages and simple, effective guitar strumming. Highly listenable indeed. She’ll celebrate her album release on Wednesday, March 11, at The Rutledge at 7:30 p.m. Jypsi and Lauren Lucas will be there, too.